The lawsuit said the "Sesame Street" brand will be harmed by a just-released movie trailer featuring "explicit, profane, drug-using, misogynistic, violent, copulating and even ejaculating puppets"
This Jan. 24, 2011, file photo shows "Sesame Street" muppet Elmo in Park City, Utah. The makers of "Sesame Street" are suing the promoter of a new Melissa McCarthy movie, saying it's abusing the famed puppets' sterling reputation to advertise the R-rated film. 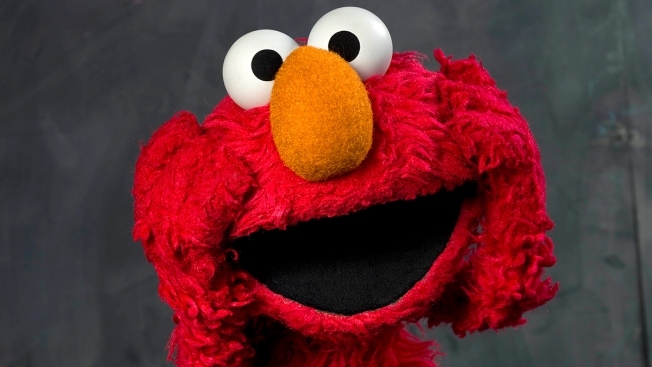 A judge Friday scheduled a hearing next week to consider a request for immediate relief by Sesame Workshop, which sued Thursday in federal court in Manhattan for unspecified damages and an order forcing the film to be marketed differently. The film, "The Happytime Murders," is scheduled for release Aug. 17. McCarthy plays a human detective who teams with a puppet partner to investigate grisly puppet murders. The lawsuit said the "Sesame Street" brand will be harmed by a just-released movie trailer featuring "explicit, profane, drug-using, misogynistic, violent, copulating and even ejaculating puppets" along with the tagline "NO SESAME. ALL STREET." STX Productions LLC, in a statement issued in the name of "Fred, Esq," a lawyer puppet, said it was looking forward to introducing its "adorably unapologetic characters" to adult moviegoers this summer. "We're incredibly pleased with the early reaction to the film and how well the trailer has been received by its intended audience," it said. "While we're disappointed that Sesame Street does not share in the fun, we are confident in our legal position." In court papers, lawyers for Sesame Workshop asked the judge to order STX not to use any of Sesame's trademarks and intellectual property, including the phrase, "NO SESAME. ALL STREET," in marketing the film. They said the marketing materials were confusing viewers into thinking Sesame was involved with or endorsed "this subversion of its own programming — thereby irreparably harming Sesame and its goodwill and brand." In a release before the film was made, STX said it would be produced by The Jim Henson Company's Henson Alternative banner, On The Day Productions, and STXfilms, along with individuals including Brian Henson, Lisa Henson, Melissa McCarthy and Ben Falcone, among others. In court papers, Sesame's lawyers said Lisa Henson, chief executive and president of Henson, just days ago emailed Sesame's chief executive, Jeffrey Dunn, saying it made her "terribly sad" that the marketing campaign "has devolved to this state of affairs." "Tonight Show" host Jimmy Fallon faces off with Melissa McCarthy in a hilarious lip sync-off to songs like Zayn Mallik's "Pillowtalk" and "Colors of the Wind" from Disney's "Pocahontas." Henson said Henson Alternative disagreed with the decision to reference Muppets and Sesame and argued against it, but "contractually we don't have the right to change it," according to the court papers. She also said the Hensons did not view the film as a parody of the Muppets and "resisted creative suggestions. ...Therefore, trading off the famous Muppets to sell the film is exactly what we did not want to have happen," the court papers said.